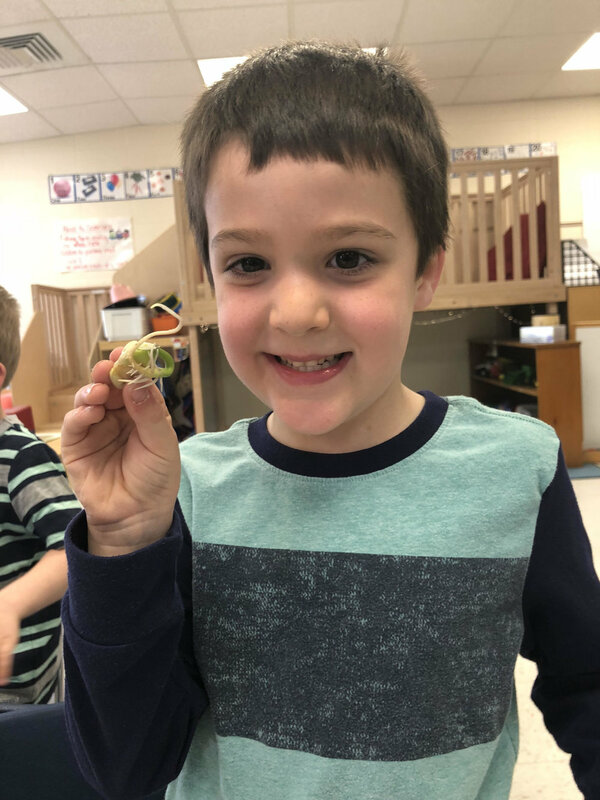 This week we learned about plant parts and learned more about things that grow from seeds. Thank you to all of you who attended our Showcase Event last night. We had a great turnout! It was excited to hear the kids present their projects on our planting unit. I finished up the KELS testing. I will send those results home next Thursday. Everyone did really well! Next week we will be working on a Mother's Day project. We will also be starting our ZOO unit. In Second Step, we will be learning about ways to stay calm on the kindergarten bus. Please remember to turn in your permission slips for our end of the year field trip to Ridge Run Park in West Bend (May 25th). I will be sending out a sign up genius for the picnic items. Make sure to mark your calendars for our 4k Spring Concert/ Graduation on Wednesday, May 16th from 10:30-11:30.